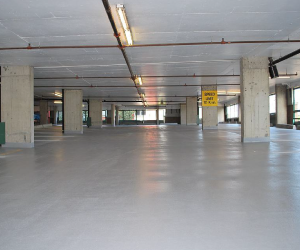 Hi-rises and Residential parking garages in Vancouver and surrounding areas are prime locations for concrete deterioration, traffic membrane failure, are dark / unsafe and prone to theft and/or break-ins. 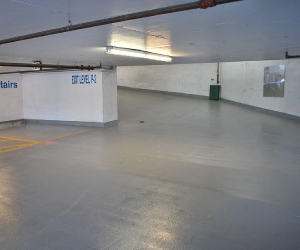 Atlas Painting & Restorations Ltd. has worked on various parking garage and concrete repair projects throughout Vancouver and the Lower Mainland which exhibit all of the above problems (and more) that stem from road salt and water being brought in by cars. 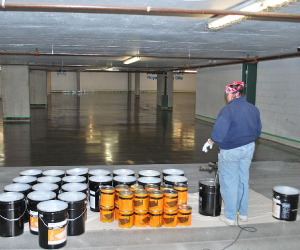 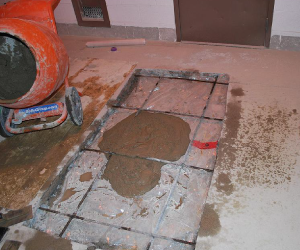 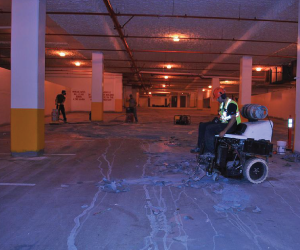 Cracking, leaching, concrete spalling / scaling, concrete carbonation, joint deterioration, and reinforcement corrosion are all associated with the overall deterioration of underground concrete parking garage structures. 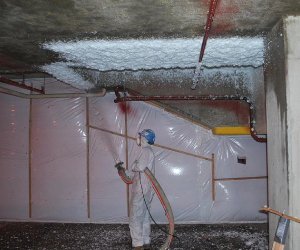 If left untreated, deterioration will continue at an exponential rate resulting in reduced structural integrity and eventually to structural collapse. 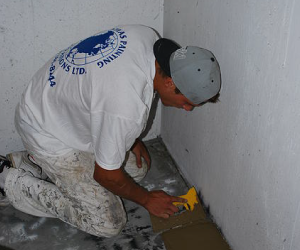 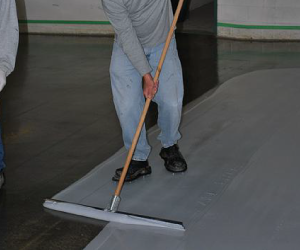 Whether it be traffic coating failure, deterioration to slabs, ceilings, beams or columns, or heritage restorations, Atlas Painting & Restorations Ltd. follows the proper procedures and uses industry leading materials to get your restorations project completed. 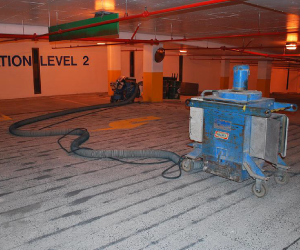 Atlas has been involved in repair programs to numerous parking structures and our specialized application methods combined with experienced crews have saved time and money for our clients. 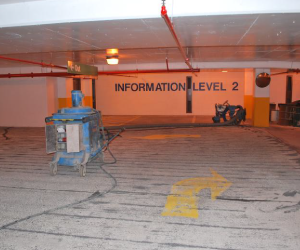 The above photos were taken before and after the following scope of work was performed by Atlas Painting & Restorations: Removal of old, spray insulation from parkade ceiling and installation of new; complete interior painting of walls, columns, sprinkler pipes, bollards and signage; removal of existing failed traffic membrane; concrete and rebar repairs on parking deck as well as soffit and vertical surfaces; application of 600,000sqft of BASF – Conipur II Deck Coating System followed by application of all traffic markings, lines, arrows and symbols.